Your store settings provide information about your store and how people access your secure hosted payment page. 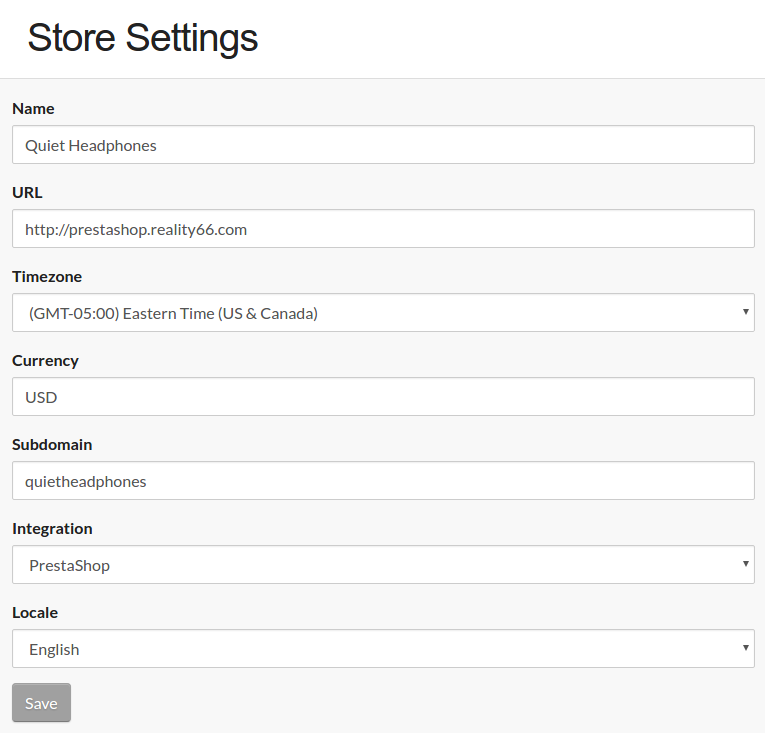 Here is a quick overview of how to access the store settings and how each setting is used. Click the gear icon next to your store name to access your store settings. Your Store Name may be displayed when you use the Distraction Free Theme. You can choose to not display your store name. For example, if the logo you upload contains your store name, you might not want to also display the store name in text next to the logo. The timezone effects the dates and times displayed on your invoices and other transactions that may occur on your CloudSwipe account. The currency setting has two primary purposes. First, it formats the display of the money values on your payment page. Second, it sends your selected currency to your payment gateway for processing your payments. You should select the currency of your home location. CloudSwipe needs to know which shopping cart system you are using so it will know how to communicate with your store. Select the shopping cart system you are using such as WooCommerce or PrestaShop. Select which language you'd like to use both in the CloudSwipe dashboard as well as on your secure hosted payment page.